We used reclaimed wood (don't we always?!) so short of a bit of wood glue and buying the actual pendant fitting itself, the whole project cost barely £10. Can you get much cheaper than that?! The DIY is really easy as well (well, once we'd figured out the angles at least!) and the only tool you really need is a table saw. 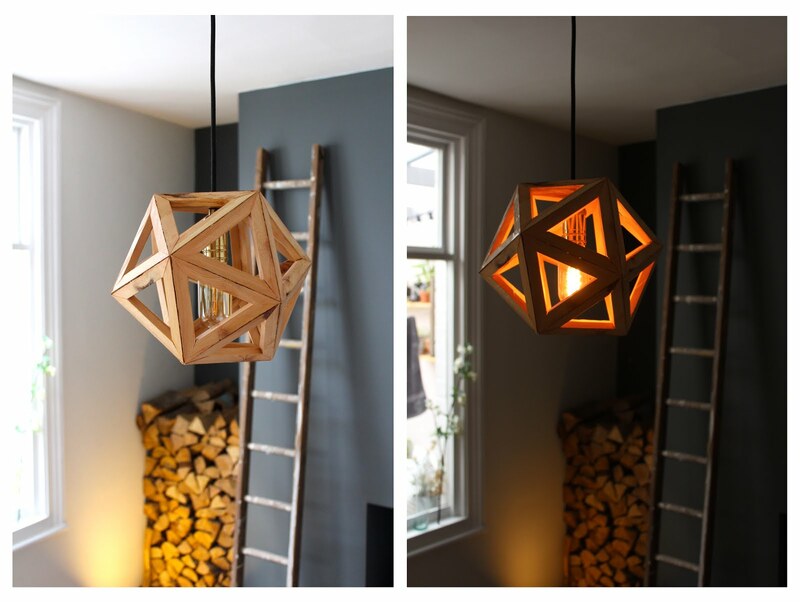 I really liked these DIY geometric lights. This is looking very beautiful. Thanks a lot for sharing this post. So pretty! I bet the bigger version will look amazing as well.